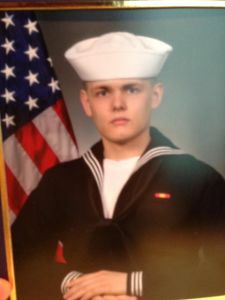 The Round Lake Area Exchange Club and sponsor, Mano a Mano Family Resource Center, are proud to announce the April Hometown Hero, U.S. Navy Petty Officer 3rd Class, Zachary Dietz of Round Lake. He was registered for this honor by his father Gerald Dietz also from Round Lake. Dietz is a 2015 graduate of Grant High School, he is a Nuclear Engineer serving on the USS San Juan and is currently deployed. His family is very proud of him and his father, Gerald Dietz shared, “He graduated from the Navy’s Power School top 10 in his class.” Dietz is engaged to Megan Legge, who is attending college to be an anesthesiologist. With the generous support of this month’s sponsor, Mano a Mano Family Resource Center, Dietz’s “Hanging with the Heroes” care package will include pizza treats, chocolate and snacks, a personalized “Hanging with the Heroes” t-shirt (donated by Artrageous of Hainesville), a piece of home, and letters from Round Lake School District 116 students. The Round Lake Area Exchange Club will present a plaque on his behalf Wednesday, April 27, at their meeting in Round Lake.